Greetings, MBA and MSM alumni! Fall semester is the most exciting time of the year at Scheller College. Our new MBAs have arrived, students are nervous and excited about internship and job interviews, and football tailgates are bringing students and alumni together. We hope that you'll join us at the MBA Homecoming Kickoff on October 20 and take a few minutes to read below about exciting happenings and upcoming alumni events at Scheller College. Go Jackets! This August, Scheller College welcomed an impressive group of new MBA students, including 81 Full-time and 81 Evening MBA students. To expand our recruiting reach this year, we hosted Management Leadership for Tomorrow's (MLT) Summer Seminar, which brought more than 280 diverse MBA candidates to campus to learn about Scheller College and how to succeed in the competitive MBA admission process. We also recently completed our first international recruiting trips to Japan and Korea and are recruiting in India this month. As many of you know, we are a sponsor of the Fort Foundation, an organization that helps women advance through access to business education and professional opportunities. With Fort, MLT, and The MBA Tour, we have been promoting Scheller College locally and on the road in New York, Boston, Washington D.C., Seattle, San Francisco, Chicago, Houston, and several other cities. To help our newly admitted students have a smooth transition into the MBA program, the MBA Admission team and MBA Program team partnered to host summer pre-program webinars, during which new students learned how to prepare for the program. Many of our new students came to us through the more than 100 candidates our alumni referred to our program. Scheller College alumni are our best recruiters so please consider recommending your friends and colleagues through our online process, and inviting them to attend our MBA Open House on Saturday, November 4. We rely upon and are so grateful for all our alumni support. Thank you! The Scheller College Institute for Leadership and Entrepreneurship (ILE) hosts a weekly series known as the IMPACT Speaker Series. High-level leaders from the corporate and nonprofit sectors, as well as local entrepreneurs, have shared their experiences since 2002. A number of archived IMPACT speaker videos are available. Please save the date for the annual MBA Crawfish Boil event. The Scheller College MBA Career Services team recently welcomed three new career coaches/corporate relations managers, Patrick Manigault, Lauren Porter, and Kristen Pratt, just in time to support our new and returning MBAs with their internship and job searches this fall. Learn about our talented new career services team members. We're excited to have them at Scheller College! MBA Class of 2013 alumnus Ricky Schwartz, head of IT innovation at Ericsson, has several pieces of advice for alumni focused on innovation. One of his favorites? "Failure is not the opposite of success; it is a necessary step on the way to success." Ricky shares an update and words of wisdom for new Scheller College alumni. 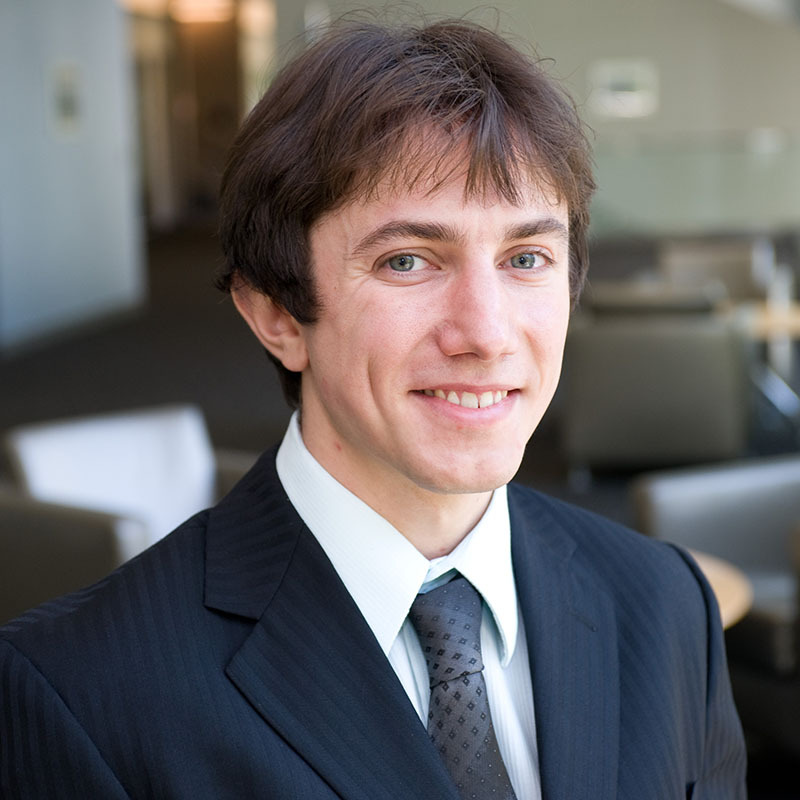 Associate professor Florin Niculescu, selected as recipient of the "Core Professor of the Year" award by our first-year Full-time MBA students, was also recognized by Georgia Tech for his creativity in designing challenging and engaging learning experiences for Scheller College students. Congratulations, Florin! Danza Huey, MBA 2015, is now a senior analyst at UPS. Aaron Glover, MBA MS-QCF 2012, joined Accenture's Digital Practice as a senior manager focusing on the cultivation, design, and execution of advanced analytical insights and solutions to strategically affect client value throughout a wide variety of domains, industries, and sectors in North America. David Hern, MBA 2012, is expecting his second child, a son, in February 2018. Please let us know what's been going on in your lives by filling out the survey. You are our success story. As a member of the Scheller College of Business alumni network, you play an important role in expanding our legacy for innovative excellence in business education. With more than 130,000 Georgia Tech alumni in more than 120 countries, staying connected means you'll be able to solidify lifetime bonds, pursue lifelong learning opportunities, and expand your professional network. Explore the many ways you can get involved and stay connected through the Scheller Alumni Network. Investing in the Scheller College MBA program helps the school better serve current and future generations of MBA students. Every gift has an impact. Please make a gift to support MBA education today! Visit http://bit.ly/GeorgiaTechMBA or contact Kate Konecny at kate.konecny@scheller.gatech.edu or 404.385.5617.